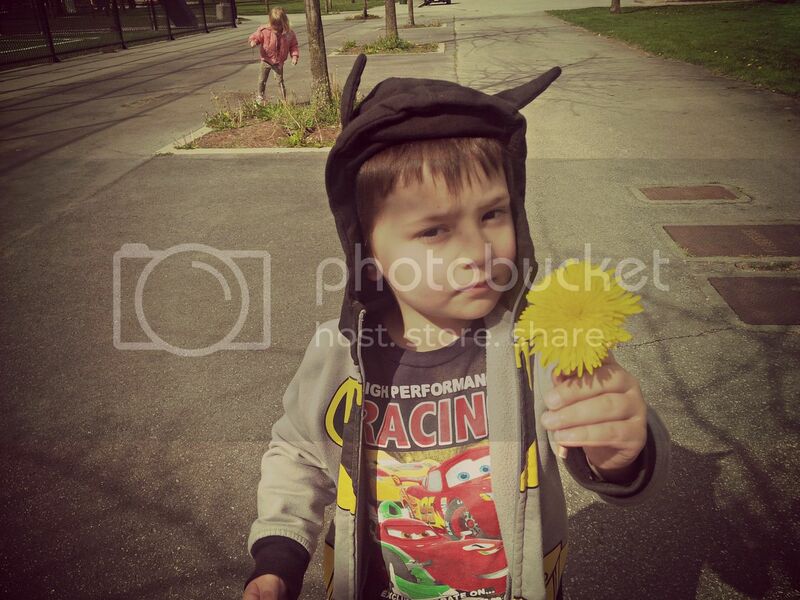 My buddies, like many children, adore dandelions. How fortunate it has been that our city has banned the use of herbicides, allowing these bright yellow blossoms to grow with wild abandon in parks, along city pathways and in all but the most well manicured lawns. Since spring has sprung we have taken note of all the beautiful flowers growing in our flower gardens and those of the neighbours. We've planted flowers of our own, in pots and along the fence. As the flowers sprout and bloom my buddies have been caring for the little flowers and plants. Of course, even though it's tempting, they are instructed not to pick the flowers. 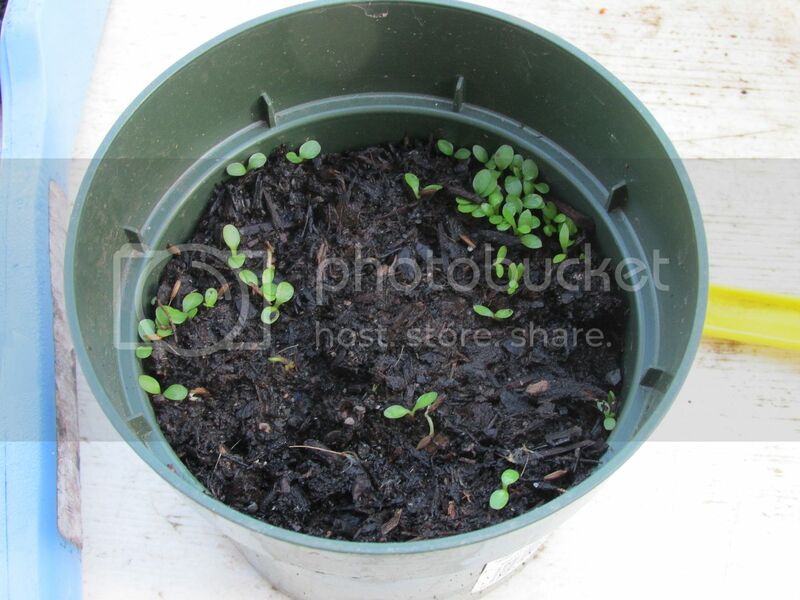 We have planted some of the seeds we collected, too. 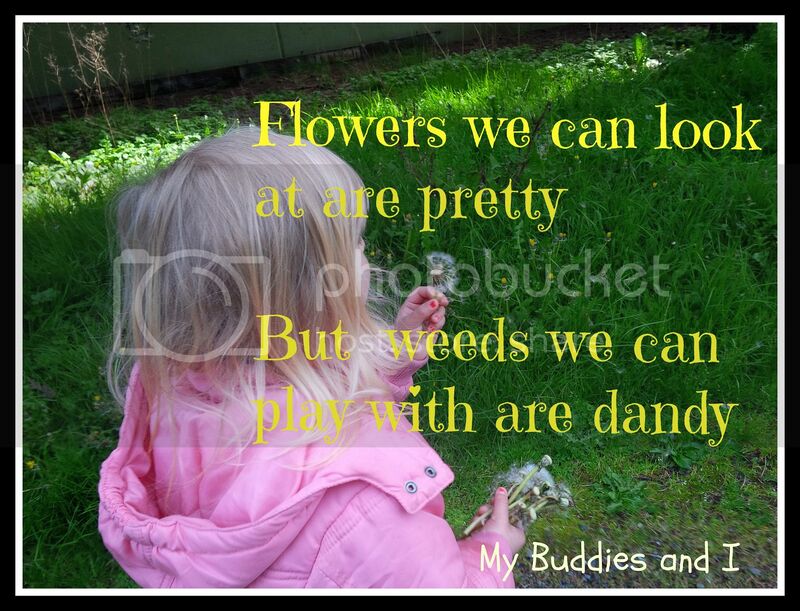 What better way to show my buddies how flowers turn to seeds and then how those little bits of fluffy seeds grow? Making wishes while blowing the fluff away is just a little bit of magic for everyone. We've also painted with dandelions themselves. 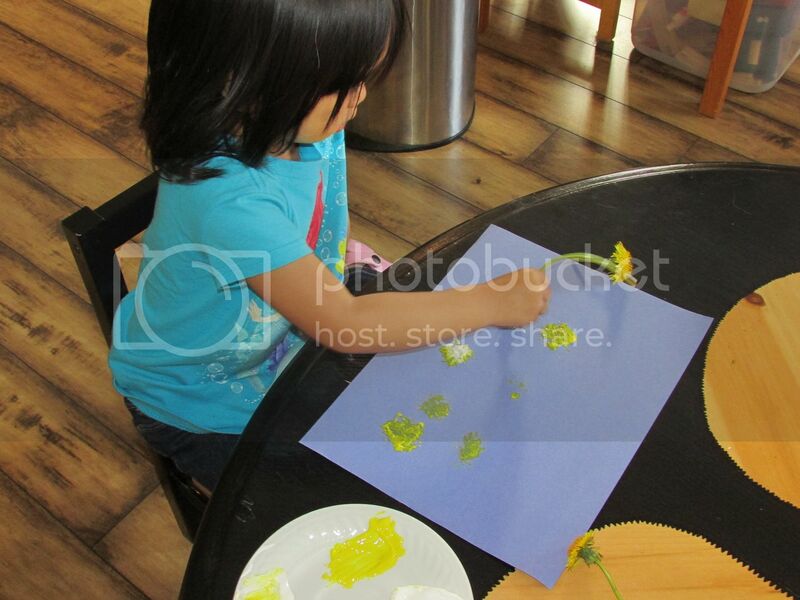 Using the flower heads as stamps in the bright paint. We love our pretty garden flowers, but my buddies think these ones are dandy!